STEWART BRECHER ARCHITECTS is a small Architectural firm providing customized design and consulting services on a wide range of project types. A project team can be constituted to offer architectural/engineering design services ranging from house additions to multi-million dollar public facilities. 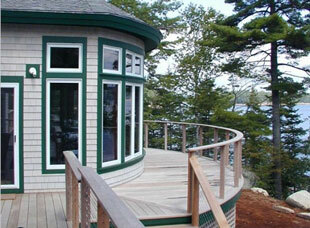 The present office has been established in Bar Harbor Maine in 1983. Stewart Brecher Architects believes first and foremost that good architecture is a collaborative effort. This collaboration needs to be inclusive. In order to be truly effective the client, user/s, builder, consultants and community need to work cooperatively to put diverse ideas on the table and together agree the best solution. We are not relinquishing our responsibility as designers rather we are willing to be educated by those who may know more about the project specifics. If one were honest it would be necessary to conclude that buildings, like people are mostly alike. The assembly of components may look a bit different but generally are based upon the same elements. If one is to focus upon differences then standards for environmental quality, safety, structure and the like would be impossible to determine. The notion that “expertise” in a particular building type, with few exceptions, is a guarantee of a good building is a false assumption. Most buildings have similar needs for weather protection, light, air, good circulation, interaction with the outdoors, enough space for the functions, sensible structural systems, efficient mechanical systems, etc. Repetitive/habitual design may turn out to be just that, limiting learning and creativity. At Stewart Brecher Architects we have undertaken the design of many building types, from child care to libraries, to university building to houses. We bring our knowledge and expertise to all projects and learn from most, as well. At Stewart Brecher Architects we approach each design commission from the beginning. We identify the unique qualities of the project and modify the 90% of repetitive solutions to reveal and inform our designs. We utilize a number of methodologies in the creation of special places. These include the above-mentioned dialogue, exploring the possibilities of the site, reviewing relevant rules and regulations, and designing both on paper and with CAD. 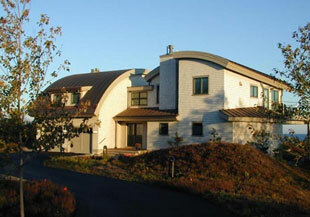 The principal, Stewart Brecher, AIA, has many years experience in all phases of architecture. Mr. Brecher holds a NCARB certificate, is a registered architect in Maine and New York and has also been registered in the United Kingdom. Stewart Brecher has held senior rank positions in the architecture faculties at universities in the US, England and Kenya.